For more info or to set up a tour of our golf club, please feel free to contact Gary at: (218) 263-4826. Mesaba Country Club would like to invite you to join our Golf Club. We offer you the chance to spend many enjoyable hours in the great outdoors with your friends or entire family. Many people question whether a private golf club membership is the right choice for them. Is it affordable? Will they feel at home? Our members have discovered that great values exist in the variety of recreational and social activities that Mesaba Country Club offers for the entire family. Meet New Friends - Stress Free - Fun in the Great Outdoors! Membership at Mesaba Country Club provides not only a rewarding golf, and social experience, but offers an oasis away from the stresses of work & home where you can relax and unwind. You will discover when becoming a member of Mesaba Country Club a sense of community, camaraderie and belonging. Discover the value of making new friendships and business relationships with fellow club members. Becoming a member is easy. We offer a variety of affordable memberships and payment plans that give you access to the finest golf course in the area. Join in 2019 for Just $699 & we will also wave the $750 initiation fee! *Optional 2nd through 4th year membership discounts. *No contract or additional fees. Compliments of the Pro Shop! "Our becoming members at Mesaba was one of the better decisions we have ever made. My wife and I felt welcome from day one. We have made many new friends since joining and we are having the time of our life." 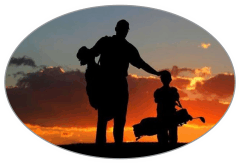 TRIAL - (First Year): Single or Family golfing membership without limitation for one (1) year only. (Optional 2nd, 3rd, 4th year). Full clubhouse privileges. No Capital fund applies. 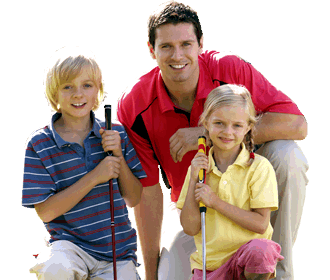 TRIAL: (Second, third, and fourth year): Single or Family golf membership without limitation. Full clubhouse privileges. Capital fund of $175 applies. CORPORATE: Single or Family golfing membership without limitation to the number of rounds of golf played. Includes all members of your family up until the age of 20 or age 24 if your child is enrolled in college. Includes full clubhouse and course privileges. Includes full voting rights. Capital fund of $175 applies. INTERMEDIATE: Single or Family golfing membership without limitation, for members at least 25 years old but not yet 35 years of age*. Full clubhouse privileges. Age determined by eldest applicant. Dues are structured the same as a trial membership, with a four year tiered program. (*See above) No capital Fund 1st year, capital fund applies in subsequent years. 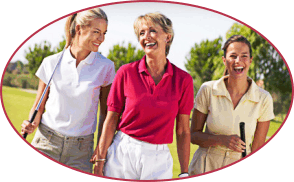 SOCIAL GOLF: Single or Family golfing membership with limitation of 12 rounds of golf per season. (9 or 18 holes) Limited playing times to be set by the Board of Directors. Full clubhouse privileges. Capital Fund of $130 applies. STUDENT / ASSOCIATE: (*anyone is eligible) Single or family golfing membership for members between the ages of 20-24*. Age is determined by the eldest applicant. Full clubhouse and course privileges. No Capital Fund applies. CLERGY: Members of the clergy residing within 50 miles of the City of Hibbing. 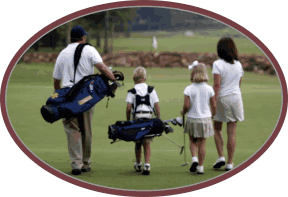 Single or Family golfing membership. Full clubhouse and course privileges. Capital fund of $100 applies. * CAPITAL FUND: This fee will be paid annually by all Corporate, 2nd 3rd and 4th year Trial & Intermediate, Social Golf, Non-resident, and Clergy members. The fund is to be utilized for capital improvements to the golf course and clubhouse. The fund amount will be determined each year based on need. Anyone desiring membership at the Mesaba Country Club must submit a signed application to be reviewed by the Board of Directors. All applicants will be notified of the Board's decision. Applications may be picked up in the business office, pro shop or you many fill out the membership inquiry form to have one emailed to you. Previous members who have been gone for at least six years will pay first year trial membership dues & no capital fee the first year upon returning and full Corporate rate in subsequent years. Previous members who have been gone less than six years will receive a discount of $100 for each year they have been gone upon return, and pay full Corporate rate in subsequent years. * Capital fund fees will apply to members who have been gone less that six years. Please fill out the form below for membership request. Think you're saving money by playing other area courses. That trip to other courses around the range is not without it's cost. The average vehicle operation expense according to AAA is now 73.9¢ per mile to operate for a medium size vehicle such as a Ford Fusion or Honda Accord. If we took a conservative estimate of .60¢ per mile, we will show you what the true cost of your trips are actually costing you. Now ask yourself, "what is my time worth"? For convenience and value Mesaba Country Club is the perfect choice!